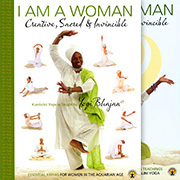 This book, I Am a Woman, Selected Lectures from the Women’s Teachings of Yogi Bhajan, is an extraordinary reference source which completes the narrative begun in the first and companion book - I Am a Woman, Essential Kriyas for Women in the Aquarian Age. Where the Yoga Manual focuses on the practice of Kundalini Yoga, this one is more cerebral, and explains the “why”. Over the years Yogi Bhajan gave many lectures at the Khalsa Women’s Camps held in Espanola, NM, from which this material has been distilled. It enables you, the reader, to focus on a specific aspect of your womanhood, and can also be read cover to cover or simply opened at random to receive new insights each time you pick it up. Throughout its pages it stresses your identity as a woman – to be Creative, Sacred and Invincible. Selections from the original lectures are interspersed with the stories and shared experiences of women from all different walks of life who share one thing in common – they have all come into relationship with their True Self and these teachings. You will be delivered by this book to your infinity, sensitivity and radiance. Yogi Bhajan recognizes your innate power to heal yourself and those around you. His wisdom will inform and transform your relationships and life's cycles, in the process giving you the keys to physical and emotional well-being while uncovering the beauty within you. 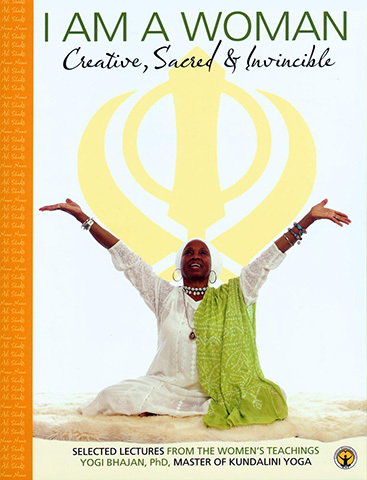 Cover design features long time student of Yogi Bhajan, Yoga Teacher Extraordinaire in her own right Krishna Kaur.